Who influenced Poll dates in Andhra Pradesh? Who influenced Poll dates in Andhra Pradesh? Who influenced Poll dates in Andhra Pradesh? 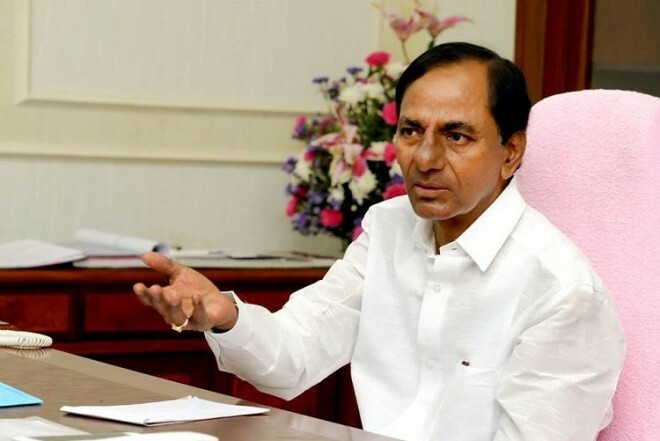 Amaravati, Mar 12: TDP on Monday questioned the poll schedule of Andhra Pradesh and accused Telangana Chief Minister KCR of influencing the Election Commission with the help of BJP. Andhra Pradesh unit president Kimidi Kala Venkata Rao in an open letter to KCR said, "You have forced the central government to conduct elections in advance. But we will still run like a racehorse in the coming elections." "You are spending Telangana peoples' money for Jagan Mohan Reddy. Jagan has been listening to you at every point from the selection of his party candidates to handing over B-forms. But, you can't change a small bit of AP Politics. Is it not a fact that you are sending Rs. 2000 crore to Jagan for elections who has no courage to face the TDP in Andhra Pradesh?" Rao said in the letter. He also claimed that Chief Minister Chandrababu Naidu is working hard for the development of Andhra Pradesh, as future of five crore Telugu people's is his responsibility. "Don’t you know all the parties including national and regional have a system to secure membership details? Collecting data is a common thing. Can you deny that the motive of ‘Data Theft Case’ filed by your government is to make your friend Jagan Mohan Reddy happy and to damage the brand image of Chandrababu Naidu and Navyandhra?," he added. The Election Commission on Sunday announced the schedule for Lok Sabha elections 2019. All 17 Lok Sabha seats in Telangana will go to polls in a single phase on April 11, which is also the first phase of Lok Sabha elections, Chief Election Commissioner (CEC) Sunil Arora announced. The dates for the seven phases are April 11, April 18, April 23, April 29, May 6, May 12 and May 19. Counting of votes will be done on May 23.